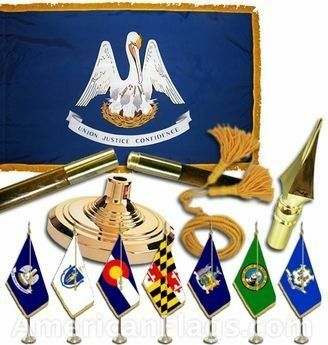 AmericanFlags.com is proud to carry Louisiana State Flags in a variety of materials, and styles, in sizes ranging from 4 IN X 6 IN to 12 FT X 18 FT. All of our Louisiana flags meet official specifications, are on sale right now and are ready for immediate shipping to your door. 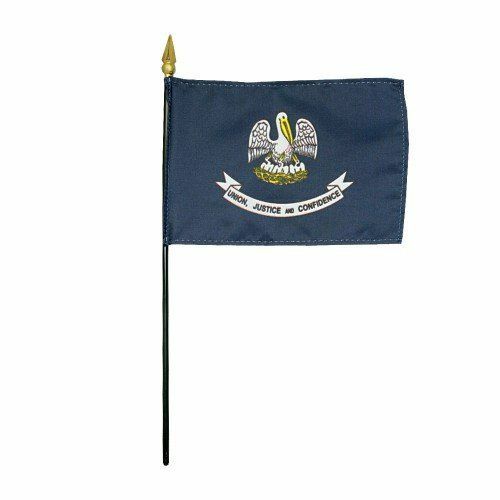 In 1912, one hundred years after Louisiana became a state, the official flag was adopted. 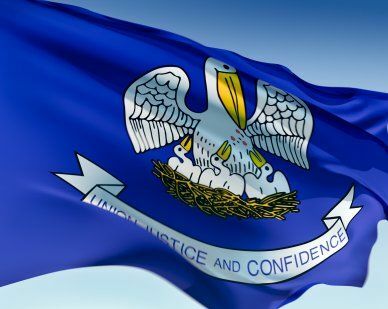 The flag features a field of blue upon which the state bird, the Eastern Brown Pelican, is feeding her young by tearing flesh from her own breast. 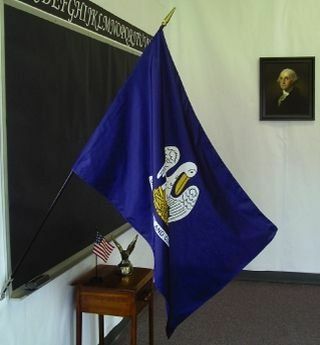 This image symbolizes the state protecting its people and their land. 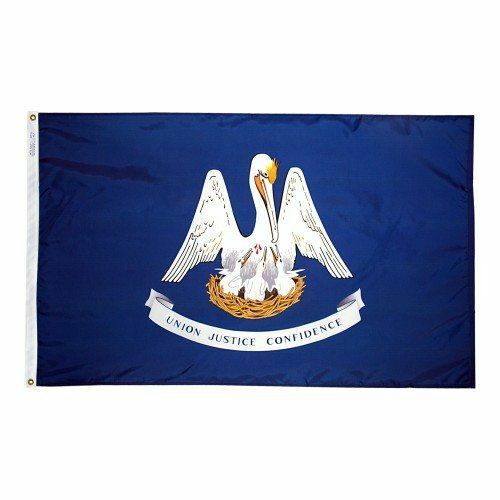 Louisiana's motto, "Union, Justice and Confidence," is inscribed on a banner below the pelicans.